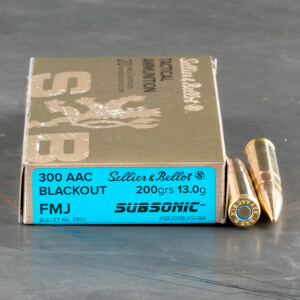 Full metal jacket (FMJ) ammunition for the 300 AAC Blackout is designed for plinking, training and target shooting. 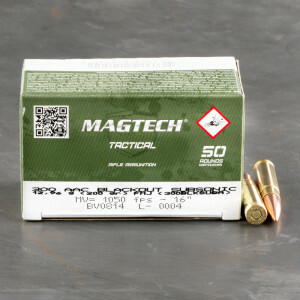 With a thin copper jacket swaged over a lead core from the tip to the base, these bullets offer reliable feeding great value at the cost of terminal performance. 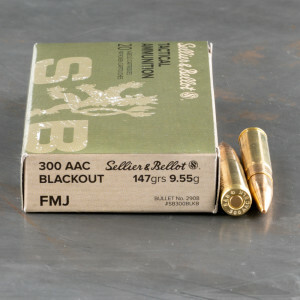 Commonly, FMJ ammunition for the 300 BLK will be in the middle of the range of bullet weights available, allowing for a balance between velocity and ballistic coefficient. 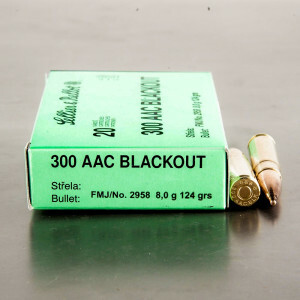 Thanks to the prevalence of these bullet weights in older .30 caliber military cartridges like 7.62x51mm NATO, FMJ ammunition for the 300 BLK is cheaper to produce and cheaper to shoot. 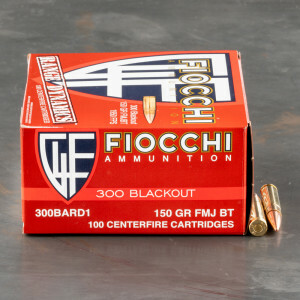 Shooters wishing to familiarize themselves with the cartridge at the range or train and compete with defensive carbines chambered in 300 BLK should look for FMJ ammunition to maximize trigger time without breaking the bank. 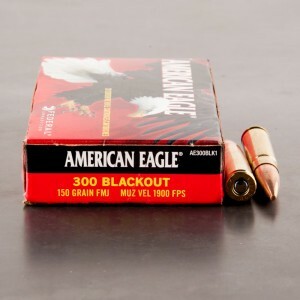 Excellent ammo when you suppress. 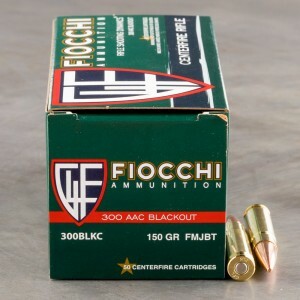 Very Happy with this ammo. 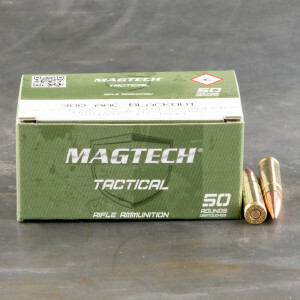 Does NOT cycle my AR consistently. Very accurate in TC Pro Hunter. JUST SHOT 100 ROUNDS 7/27/16-FLAWLESS, NO LIGHT STRIKES NO SQUIB ROUNDS OR JAMMING. 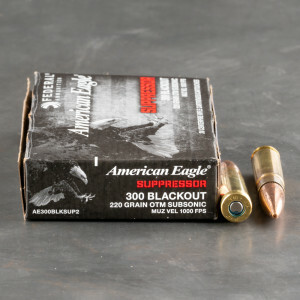 GOOD QUALITY AND THE PACKAGING IS REALLY GREAT WITH THE AMMO HOLDER THEY COME IN. WOULD BUY AGAIN.